COSCO SHIPPING Lines Co., Ltd (hereinafter referred to as COSCO SCOSCO Shipping Lines Co. Ltd (hereinafter referred to as COSCO SHIPPING Lines) , affiliated with COSCO Shipping Group, is born with the integrated container businesses of CSCL and its predecessor COSCO , which has been up for business since Mar.1st, 2016. 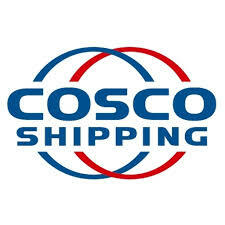 COSCO SHIPPING Lines is a fully-owned subsidiary of COSCO SHIPPING Holding Co., Ltd，registered in China (Shanghai) Free-trade Experimental Area with a registered capital of 15.96 billion Yuan. Company is mainly engaged in domestic and international maritime container transport services and related business, as the group's core business sector. By November 30, 2017, COSCO SHIPPING Lines has a total of 291 corporate enterprises, including 137 domestic enterprises and 154 enterprises abroad.